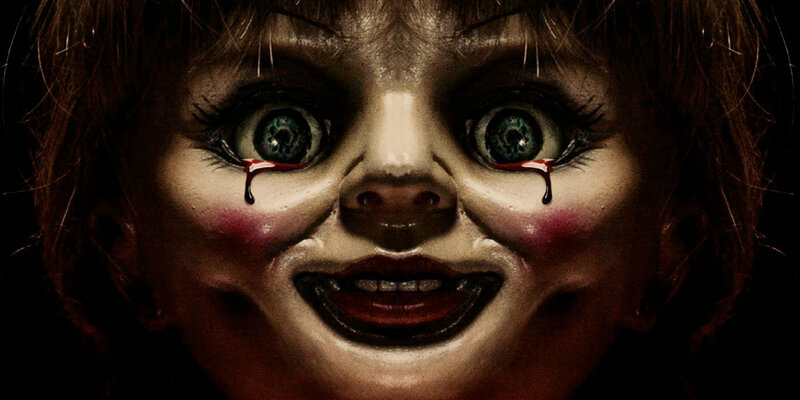 Directed by newcomer David F. Sandberg and written by Gary Dauberman (Wolves At The Door, Annabelle) the film follows a strictly formulaic trajectory not dissimilar to its predecessors, and that is probably the worst thing about it. Borrowing heavily from the aesthetics of far worthier productions, such as The Orphanage (J.A. Bayona, 2007) and even The Others (Alejandro Amenábar, 2001), Annabelle: Creation plays with ideas of creepy inanimate objects, possessed children and the usual orphan child tropes. Doll maker Samuel Mullins (Anthony LaPaglia) and his wife Esther (Miranda Otto) are still reeling from the death of their only daughter 12 years earlier in a freak accident. In the hope of helping less fortunate children, the Mullins decide to open their big empty home to a group of orphaned girls who became homeless when their orphanage closed down. Lead by Sister Charlotte (Stephanie Sigman), a young catholic nun, the girls are welcomed to the fold of their new home, but what awaits them is something none of them could have ever imagine. As creepy going ons and whispered conversations between the Mullins are overheard, young polio-stricken orphan Janice (Talitha Bateman) becomes convinced that a doll hidden in a locked room has come to life and is trying to steal her soul. With thoroughly creepy and at times gratuitously shocking shenanigans taking place, the girls and their hosts are terrified by a creepy doll which has been possessed by a demonic figure and which is hellbent on killing them one by one. The rest, you guessed is a fairly predicable affaire with more banging, scare-jumps, and a needlessly expositional dialogue which is likely to send you to sleep and which rarely trusts its audiences to draw their own conclusions. 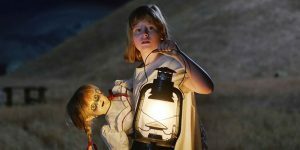 Ultimately, Annabelle: Creation is worth checking out for all those who enjoyed the earlier offerings in the franchise. Entertaining? yes. Scary? absolutely! Just don’t go expecting anything new or earth-chattering, because you’ll be sorely let down by the whole thing.